It’s only natural that when the weather warms and we take our tresses on vacation that that shine it once had begins to dull. Harmful UV rays and over styling can lead to dull, lackluster strands. This summer, make sure to give your hair some TLC and prevent the damage that comes from the sun. Fret not because we’ve got the arsenal meant to restore and protect your tresses. There’s a reason this product’s been around for so long, and it’s because it works! This serum is straightforward and trusted to create a smooth, shiny finish on even the frizziest hair. 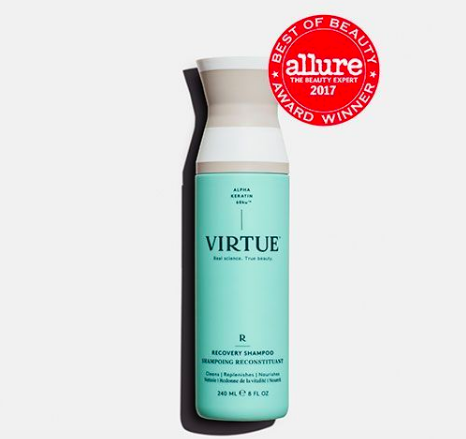 Infused with silk protein, use before or after styling to protect from heat and seal in split ends. Like the original serum, but enhanced, this smooth and shine enhancing formula shields hair from the damaging effects of styling and UV rays. Slap on before you hit the sun to prevent color fading and frizz or use before styling for a shiny, healthy finish. Keep in your beach bag to make sure your strands are always protected. Are you Frizz Ease addicted? Let us know how you use it in the comments below!